It is well known that content is the most important part of a website, but how you present that content is equally as important. Take a look at the following elements to learn what is crucial in providing visitors with an easy, informative experience with your website. Not all content is created equal. Identify your audience, and create content that answers their questions. You should take time to put yourself in their shoes and ask what they would ask – and then answer. Double and triple check for spelling or grammar mistakes – this creates credibility. If your website and content is muddled with misspelled words, no one will take what you’re saying seriously. Organise your content in a way that makes sense – make it detailed and specific to that landing page. Lastly, make sure all content is SEO optimized, and uses relevant keywords so your audience can find it. Navigation is the GPS of your website. A good navigation experience will set your website apart from the rest. If your audience can seamlessly navigate through your website, and has no problem finding the content they are looking for, then you have achieved user-friendly navigation. Some things to keep in mind include: the amount of menu items, the positioning of your navigation bar, short and descriptive section titles, and always linking your brand logo to your Home page to name a few. Navigation and accessibility directly impact your conversion rates. If your website isn’t easy to navigate, visitors can become frustrated (or confused!) which leads to a negative experience. A website that is aesthetically pleasing, will help keep customers clicking through. Your website should attract visitors, and invite them in. Themes chosen should reflect the persona of your business – colours and fonts need to be balanced and match this theme. Page backgrounds shouldn’t be overcontrolling. Remember, first impressions matter. If your website has a professional look and feel, your visitors are more likely to stick around. Make sure all pictures are high quality. Use complimentary colors, and utilize white/negative space on a page. This will create a clean, fresh, easy-to-read site. As mentioned above, your website needs to look, feel, and be credible. Visitors need to build a sense of trust as soon as they land on your website. Make sure you display a portfolio and/or client list, and tell explain your purpose upfront. People want to be able to find this right away. Show your physical address, and contact information. These things will help gain the trust of your visitors and will ultimately generate those conversions you’re looking for. 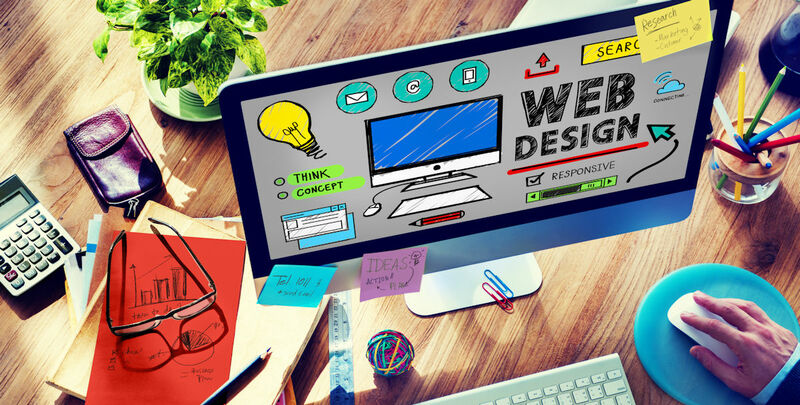 The above elements are the most important for any website’s design. Making sure you grab your visitor’s attention and keep it for even a small amount of time, as this will help build your customer base. Before we end this post, there are three other elements that are worth mentioning. These are: calls to action, mobile responsive design, and a search function. Your calls to action can be something as simple as signing up for a newsletter, or prompting a visitor to download a brochure – whatever you choose, this will create a conversion and provide you with a way to keep in contact with a visitor after they leave your website. Making sure your website is mobile friendly will keep even more visitors on your page. These days, most people are searching using their smartphone, or tablet. Make sure your website can easily fit those screens or you risk losing these visitors because they don’t want to struggle with navigating your website. Lastly, providing a search function on your website will help keep those visitors that don’t approve of your navigation system. You can’t please everyone – so place elements on your page to help avoid frustration. If you need help designing your website, get in touch with our team and we’d be happy to get you going in the right direction! Next PostNext Are you leveraging content marketing for your business?